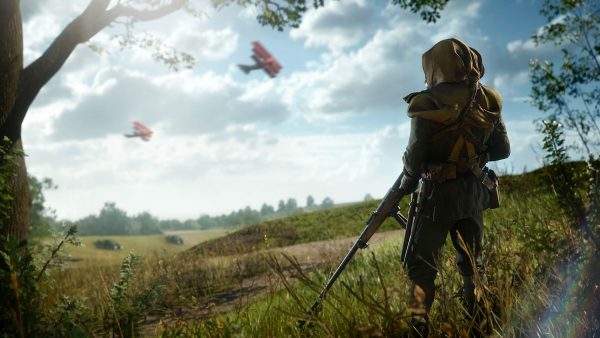 There have been reports of stealth downgrades in Battlefield 1 on PS4 Pro following yesterday’s patch. It seems the fall update for Battlefield 1 made some undocumented changes to the game, particularly when it comes to visuals and frame-rate on PS4 Pro. Since the release of the massive 1.04 patch yesterday, multiple PS4 Pro owners flocked to Reddit, NeoGAF, and the Battlefield forums to report that the game just isn’t running like it used to pre-patch. Two issues in particular are echoed across all message boards. The first has to do with the game’s look, which some described it as being “softer” than it was pre-patch. This makes jagged edges more visible, creating an overall less crispy image, according to these players. For its part, DICE did mention an “improvement” to TAA (the game’s anti-aliasing solution) in the patch notes, though that really doesn’t say much. Performance was another sticking point, with many reporting worse frame-rate overall post-patch. Although players couldn’t agree there’s been an outright drop to frame-rate, most agreed that the game felt worse to play, especially in Conquest 64. Tech outlet Digital Foundry posted an update to its multiplayer analysis to confirm that TAA has indeed been tweaked, but there’s been no hit to performance when testing single-player post-patch. To complicate matters further, developer DICE has been uncharacteristically quiet about PS4 Pro upgrades. The studio never officially revealed how the game will handle the console prior to its launch, and continues to be silent in the face of these reports. Of course, without further testing, we may never find out if performance has indeed degraded. This is even more tricky to pull off considering it’ll be hard to replicate any scenarios used for testing pre-patch, just because of the unpredictable nature of the game’s multiplayer.